DALLAS, May 3, 2013/ — Dodo is Pomellato’s sweetest collection of jewelry. Dodo is the name of that funny feathered bird that lived on the island of Mauritius – until extinction caught up with him. But as it happens in only the very best stories, after many years, Dodo has come back to life and lives all over the world because he has become a symbol of nature that needs protection. The Dodo pendants are a happy company of animals who speak the language of feelings and emotions. 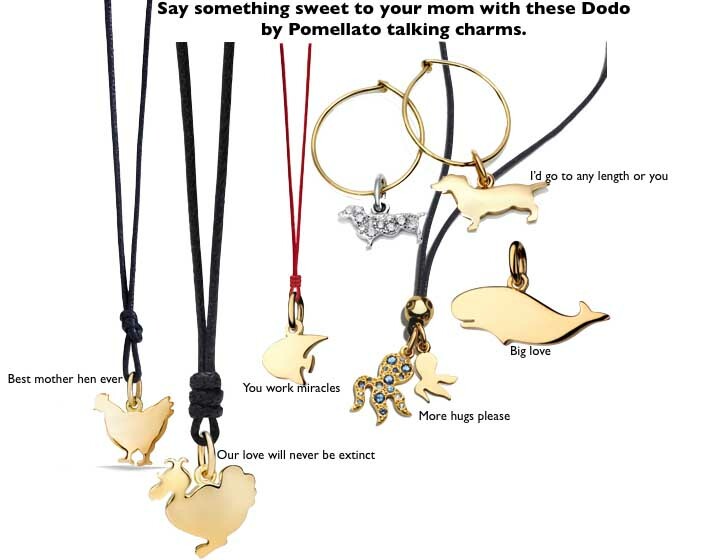 Each Dodo charm reveals a little bit of who we are and what we want to say.